You might not know Bill Ingalls' name, but you've probably seen some of his life's work. His is a story that's been written across the stars, lit by rocket fire and illuminated by the moon. 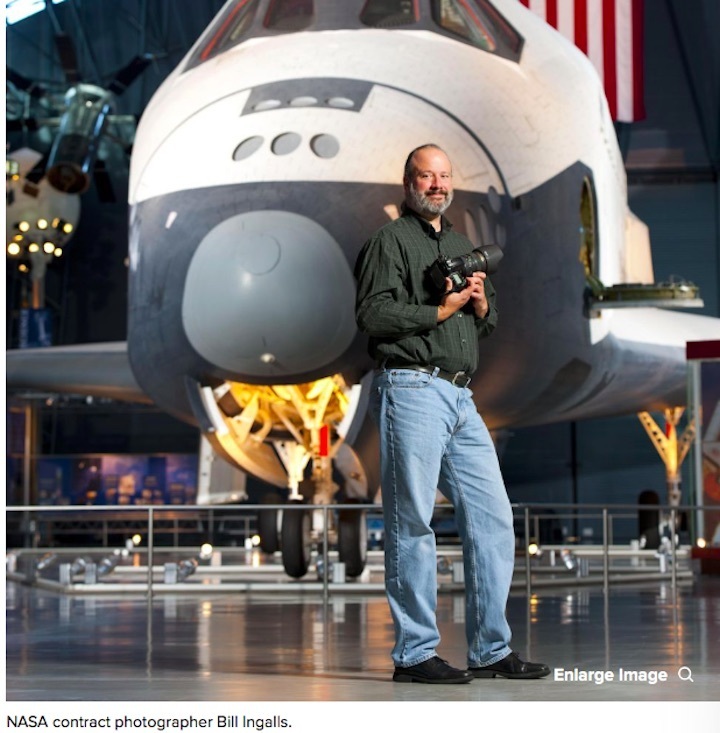 In 29 years as a contract photographer for NASA, which on Monday marks its 60th anniversary, Ingalls has witnessed some of the space agency's most spectacular moments and captured them for the world to see through his camera lens. You might remember his photo of the International Space Station transiting the full moon. Or his picture of a ghostly space shuttle Endeavour ending its final mission with a smooth landing in 2011. 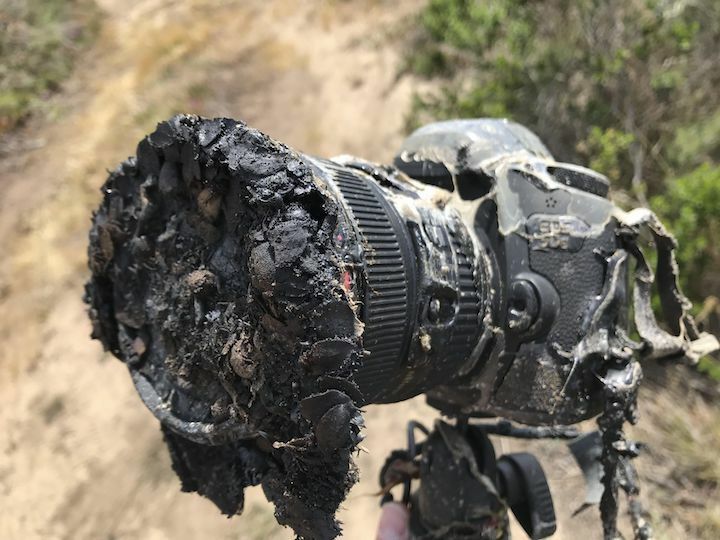 Or even a viral image of his camera melted by a grass fire after a SpaceXlaunch earlier this year. It all started when Ingalls, now 54, got a summer internship at NASA's communications office in 1987, while he was in college at Waynesburg University near Pittsburgh. "That summer showed that I could do what I love and bring that together with subject matter that is really compelling and exciting and interesting," Ingalls said. In 1989, Ingalls signed on with NASA as a photography contractor, a journey that's taken him from the mouth of an Alaskan volcano to the flat landscapes of Kazakhstan where Russian Soyuz spacecraft launch and land. The following is an edited transcript of our talk. 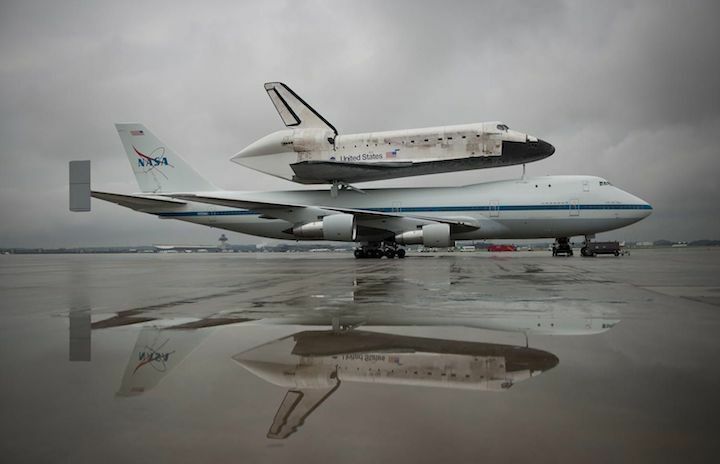 Ingalls photographed the space shuttle Discovery as it sat atop a 747 in 2012. Did you have an interest in space earlier in life? Ingalls: I was born in the early '60s and I recall being a young boy when we landed on the moon and was fascinated by it just like the rest of the world. I wasn't obsessed with it, but I loved watching spaceflight. What's been your most challenging photography experience? Ingalls: To me, there's almost always a challenge, even if it's something as simple as a press conference here in our auditorium. I take it on as a very serious challenge to try to make it interesting, to try to make something unique and compelling. One of the biggest things that I still feel like I have to overcome is to do better to capture the people and their true essence and the emotion that goes with them and the work they do for NASA. After you've seen hundreds and hundreds of rocket launches, you start to think about who's behind all of this, making it happen. You've hung out of helicopters and down into a volcano. Have you had any frightening moments? Ingalls: I have a fear of heights. That's probably when it gets the scariest. The Russians recently gave me permission to start climbing some of the lighting towers at the launchpad to set up cameras higher. Have you ever turned down a NASA assignment? Ingalls: No. It's usually the opposite. I'm usually fighting to have assignments happen. How does that work as a NASA contractor? Ingalls: I've gotten to know the programs and the people. There's a trust level that's been built between myself and NASA and the photo team I work with. The only difficult issue, typically, is money. We're constantly having to fight for money to do what we need to do. This camera gave its life to photograph a launch. Your melted camera made the news. What was it like to be the focus of a new item? Ingalls: It's funny how in 29 years of shooting, that's how many people got to know my name. My biggest concern was how NASA and SpaceX would respond to this going viral, and both were very gracious in realizing it was just a matter of what happens sometimes. It was misreported at first. Someone said I put the camera too close to the rocket, which wasn't true at all. It was actually one of the furthest cameras. NASA fully embraced it and posted a story about it to help clear the air. Do you still have the camera? Ingalls: I've got it in my office. It smells like a campfire. Do you have a favorite camera right now? Ingalls: No, I really don't. Having come from 29 years of shooting, I've seen camera technology take off. I used to take a darkroom with me wherever I traveled in the world. I had a small storage bin that had all my chemicals in it and a hair dryer and clips to hang the negatives. Today, my darkroom is my laptop, and we have good internet connections almost anywhere in the world. Our cabinet has been mainly full of Nikon gear, and that was mostly because we had a good investment in Nikon lenses to begin with. I can pull one of our newest cameras out and grab one of our oldest lenses and still make photos. We also have quite a bit of Canon gear now. Recently, we've been keeping an eye on Sony and mirrorless cameras. Have all the technology changes over the years made your job easier or more complicated? Ingalls: It's double-edged. When I first started doing this job, there was not so much of a rush for me to get imagery out the door. I could really take my time. With NASA's presence on social media and on its web page growing, the pressure became greater to get things out the door quicker and quicker. Ingalls: Our current workflow is offloading and using Photo Mechanic to select and find our images and for captioning. Then we use Adobe Photoshop Lightroom for developing. We follow the guidelines of photojournalism for what editing we do -- just basic cropping, color correction and some light dodge and burn, and that's about it. Are there upcoming NASA missions you're excited about photographing? 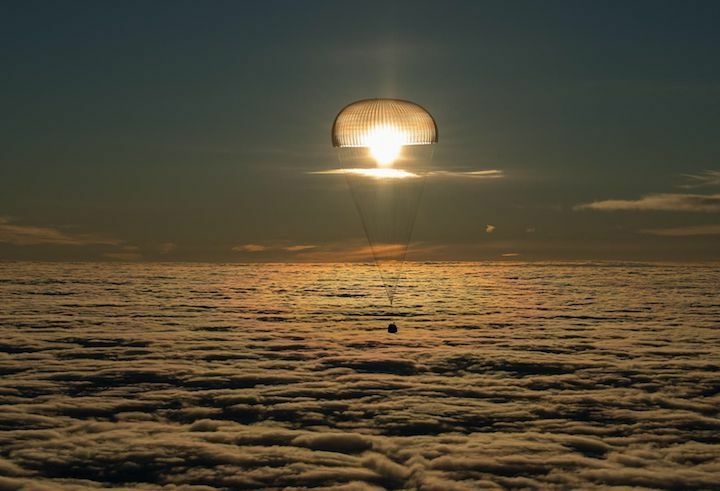 Ingalls: The Soyuz launches and landings. My colleagues have been helping me with those, but I try to do at least one a year to keep myself familiar with Soyuz launches and keep up my relations with my Russian colleagues. Longer term, I'm really anxious for the James Webb telescope. I've never been to Kourou [in French Guiana]. That will be my first launch out of there. If you had the chance to go into space, would you take it? Ingalls: Yes, absolutely. I'm probably a little too tall for the Soyuz, but maybe something with SpaceX's Crew Dragon or Boeing's Starliner would work out for me. I'm not so sure about the landing part, but the launch and being up there would be great. It would be fun to find something photographically that would be unique on the space station. I'm anxious to see where NASA goes from here. We've got our eyes set on the moon and on Mars, and a lot is going to be happening with that. I would like to be there to document as much of that as possible.